* Please allow approximately 10 working days lead time for manufacturing. Sometimes simple is best and that is definitely the case with Touch America's Venetian Face & Body Treatment Table from Massage Tools. 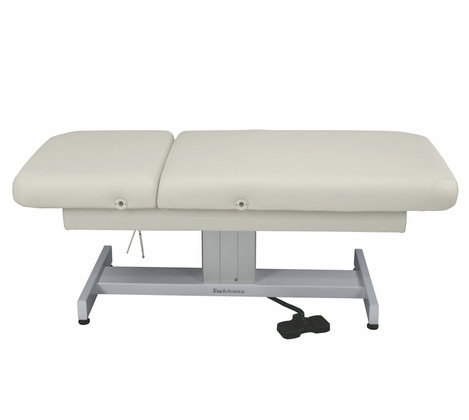 This versatile, comfortable treatment table is ideal for a multitude of spa and salon treatments. Its uncomplicated design offers a power lift mechanism that can easily raise 375 pounds. Clients will love the pleasant feel of the table. Technicians and therapists will find the simple operation of the treatment table a breath of fresh air. - Lift capacity 375 lbs. - Table weight 210 lbs. Sacred Earth Botanicals - Organic Massage Lotion - 8 oz.